For most of you reading this, winter is here and in full swing. If you look at a temperature map of the United States, it’s just plain cold outside, and with the cold comes snow. Mix in some wind to the equation and you have stranded motorists, people stuck in their homes without power, etc. What amazes me about winter every year is how much it surprises people, and how unprepared some folks are. If you’ve live somewhere warm like Miami all your life and you move somewhere cold like Duluth, then I kinda get how someone could underestimate winter and be unprepared (or under-prepared), but for most of us, there’s no excuse. Along these lines, I saw a PSA of sorts by Fortress Defense Consultants on Facebook, and I thought it was worth passing along as a reminder to those of you who aren’t prepared. Never ceases to amaze us how many people leave the house unprepared for ANYTHING. 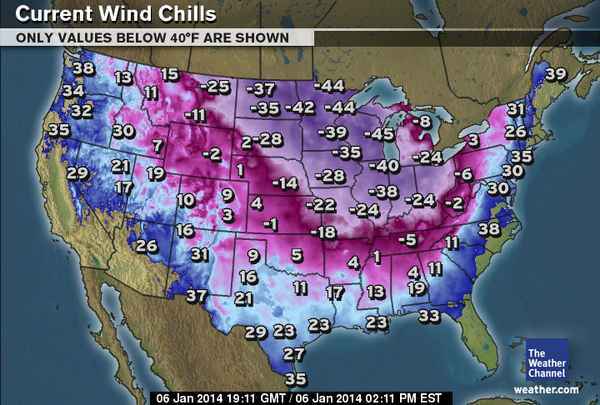 Yes, it is January and there are blizzards and negative temperatures across the nation. Contrary to the media, this is not a new phenomenon. Actually, it happens every year. Because of this, if one decides to leave the house, even for a few minutes, unprepared for conditions, then that person would be what science refers to as a complete idiot. -You wear proper clothing. Not proper clothing to get from the house to the garage, but proper clothing to stay out in the conditions for an extended period. Tennis shoes and yoga pants are not proper winter clothing. Waterproof boots, thermal underwear, proper hat and ear coverings, gloves, scarf, etc., are the order of the day. -Your vehicle has gas in it. In this day of smartphones, internet, etc., there is little excuse to not know when a storm is approaching. Fill up you tank BEFORE the storm. – Your vehicle has jumper cables, a tow strap, a blanket, a first aid kit, flashlight, and a three day pack (water, food, etc…) in it. A shovel of some sort is a really good idea this time of year. -Your home has food in it. None of us should be risking our lives in a storm because we can’t live a week at home on the food in our cupboards. This has been a public service announcement from Fortress Defense. While this wasn’t intended to be an all-encompassing list, it’s a great basic level of preparedness that most people can achieve. One thing I would add to the list is a way to heat your home that isn’t grid dependent. If you’ve ever had your power go out in a winter storm or cold snap, you know exactly why this is important. My favorite solution is a wood stove, but I know that’s not possible for everyone’s living situation. The point is to have something, whether that’s a generator and a space heater, a kerosene heater or even a few low cost, DIY alternatives like aÂ terracotta pot heater. Something is better than nothing. Good advice, though I’m not surprised that people aren’t prepared. People are lazy dependapotamuses and think the government will bail them out if they ever get in trouble.